Though blind and deaf from the age of two, Helen Keller graduated with honors from Radcliffe College — the first blind and deaf person to earn a college degree. She devoted her life, through lecturing and writing books, to social reform. The play and film The Miracle Worker tells the story of how her teacher, Anne Sullivan, helped her emerge from her world of darkness and silence to become celebrated as one of the greatest women of her time. Keller published a dozen books and visited 40 countries, gaining international fame as she campaigned for peace, women’s rights, workers’ rights, and rights for the disabled. She helped found the American Civil Liberties Union in 1920. Her friends included Alexander Graham Bell, Mark Twain, and Charlie Chaplin. She was awarded the Presidential Medal of Freedom and received honors from around the world. Helen Keller is describing the experience of a transcendental level of the mind. Relating it to “Infinity,” she describes it as “the flame of eternity in my soul.” In this deep inward place, she experiences “the splendor that binds all things of earth to all things of heaven.” Even though she is blind and deaf, confined by “silence and darkness,” she nevertheless experiences an inner light that transcends death. Helen Keller’s beautiful descriptions of her inner experience remind us of the experience of transcending that takes place when we close our eyes and practice the Transcendental Meditation technique. Effortlessly, naturally, and spontaneously, the mind settles inward. It becomes quiet and settled. There may be moments during meditation when we experience consciousness in its pure state — as an ocean of pure wakefulness, the silent, unbounded field from which all thoughts and feelings arise. Maharishi has described this field of pure consciousness as “the Absolute” — the very word Helen Keller uses. By this he means it’s a field that lies beyond time, beyond space, beyond change. Though unchanging in itself, it rests at the foundation of all change in the universe. This is nature’s innermost reality, its ultimate truth. This is the Self of everyone. Over the last several decades, research in quantum physics has revealed the underlying unity of nature from a mathematical perspective. At the basis of our infinitely diverse, ever-changing universe, beyond time, space, and change, is a unified field. This field embodies nature’s infinite creativity and intelligence, guiding orderly change at every point in space, at every moment in time. The American physicist John Hagelin has shown that these two fields — the field of pure consciousness and the unified field — are one and the same. This means that when we transcend during Transcendental Meditation practice, we are experiencing not only the source of thought but the source of natural law. We are aligning ourselves with the flow of natural law. So when Helen Keller uses the word “Absolute” to describe her inner experience, when she describes it as “Reality” and “Infinity,” we see these are not just poetic words. They describe a real human experience. 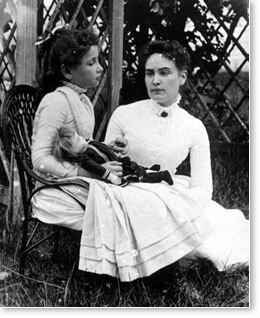 Helen Keller overcame unimaginable handicaps to become one of the great women of history. No doubt this was because she had access to deeper resources of consciousness, to the field of pure consciousness. This experience no longer needs to be left to chance. With the Transcendental Meditation technique, we dive into to the inner ocean of pure consciousness every morning and afternoon. 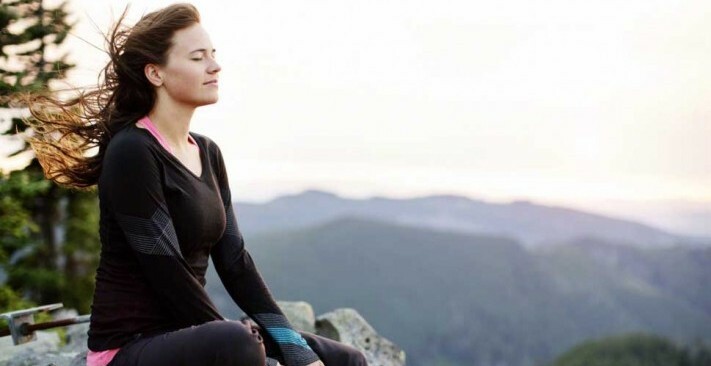 This simple experience, as scientific research has shown, increases creativity and intelligence, improves our health, promotes balanced personality growth, improves relationships. We all face challenges in our lives. But as we develop our full creative potential through regular Transcendental Meditation practice, we can meet challenges with increasing ease, while becoming anchored to the shining Self within. Helen Keller, My Religion (New York: The Swedenborg Foundation, 1980), 35. Helen Keller, The World I Live In (New York: Century, 1908), 132-133.